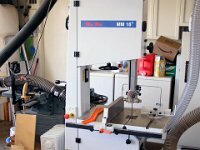 This is a tour of my workshop. I hope you find some ideas you can use in your shop. 1 Main Entrance This photo is from the main (overhead) door of my shop and shows the east wall and northeast corner. From right to left: Shark CNC, Performax 16-32 Drum Sander, Festool Kapex, Delta B.O.S.S. 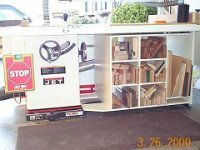 (Makita 12 in planer below), Ridgid Shop Vac, Nova drill press, Hegner scroll saw with clamps hanging from its stand, Oneida Dust Gorilla in the corner, and my hand tool cabinet. 2 Northeast Corner This is a better view of the corner. 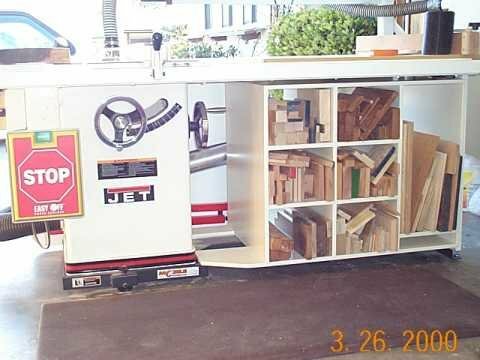 You can see the scroll saw, shop vac, and Dust Gorilla more clearly. The rig on the north wall (two vertical blue cylinders) is the vacuum pump I use for my vacuum press and for the vacuum hold-down clamps on the CNC and sanding station. 3 Vacuum Pump Rig This is a closeup of the vacuum pump rig. This was made from plans and parts obtained from https://www.joewoodworker.com/. 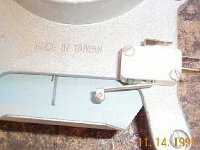 Joe's website also has many photos of other users' pumps and projects. 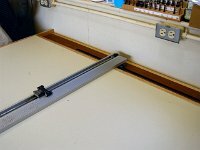 An excellant resource for those interested in vacuum pressing or vacuum clamping. 4 Dust Gorilla This is a better view of my Oneida Dust Gorilla. The Hegner 18 inch scroll saw and mobile clamp rack are in the foreground. The dust collection piping is the standard HVAC piping from Home Depot. It has never given me any problems despite the claims from the sources of much more expensive piping that this stuff will collapse. It simply isn't true. Now I did purchase the elbows and the 7 inch to 6 inch wye from Oneida because there are no equivalent items available at the Home Depot. The wall behind the Cyclone is covered with acoustic tile to absorb some of the noise. 5 Blast Gate Mods My dust collector is controlled by opening/closing the blast gate at the machine being used. All the blast gates have been modified as shown here with a switch available from Fry's. I only use the aluminum gates because the plastic ones leak, often get stuck either open or shut and are more difficult to modify to hold a switch. First, mark the location of the switch mounting holes and then disassemble the gate to drill the holes for a 6-32 machine screw threads. Use a 6-32 tap to form the threads, mount the switch, file the protruding ends of the screws flush as necessary and reassemble the gate. My wiring is 22 gauge speaker wire which is quite sufficient for the 12 volts used to operate the relay that controlls the dust collector motor. 6 Nova Voyager Drill Press I really, really like my Nova drill press. Press the F4 button and a drill speed selection chart appears. Select the type of bit, then the material and the correct speed is set. Use the Menu button and you can set the drilling depth. The drill will stop when the set depth is reached and even reverse itself (if you program it that way) to back out of the hole. I had only two major gripes when I first got this machine. First the chuck. It would only close to 1/8". Well, I make small boxes and routinely use #2 wood screws and the chuck wouldn't hold the small drill bits. I bought a new chuck that closes to less than 1/16". First problem solved. Second problem was the table lift handle. It was so big that I couldn't use my drill press table. The handle would not clear the back edge of the table and I didn't want the add-on table to be smaller. My solution is the box you see mounted on the left of the head stock. The white switch is a two-way push button that controls a windshield wiper motor that raises and lowers the table. See the next picture for how that works. 7 Motor Driven Table Mod Here is the motor drive mechanism. The large gear replaces the hand crank and the gear ratio provides the necessary mechanical force to operate the table. How sweet it is! 8 Drill Press Cabinet This cabinet rolls under the drill press table. It holds bits, portable drill and driver, drill bit sharpener, and other drilling accessories. 9 Overhead Cabinets This shows my overhead power and air supply. The air is for the several nailers I use occasionally. 10 Flip Stand This flip stand is old (notice the date on the photo), but is still in operation. My Makita 12 inch planer is on one side, and the Delta B.O.S.S. is on the other. While not visible in this photo, I made two covers held on by clips that keep the spare sander spindles from falling out when upside down like in this photo. 11 Festoll Kapex My Festool Kapex. This saw replace the 1973 Craftsmen Radial Arm saw that I had for 35 years. It finally was no longer serviceable. 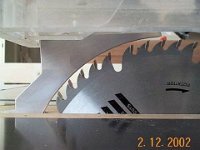 I selected this saw because the support arms come forward rather than sticking out the rear as in many other models which my cramped shop would not allow. Most all miter saws can't handle short pieces because their fences have to accomodate tilt and rotation. I made this auxiliary table which has slots for hold-downs and a zero clearance fence with a t-slot for a sliding stop. 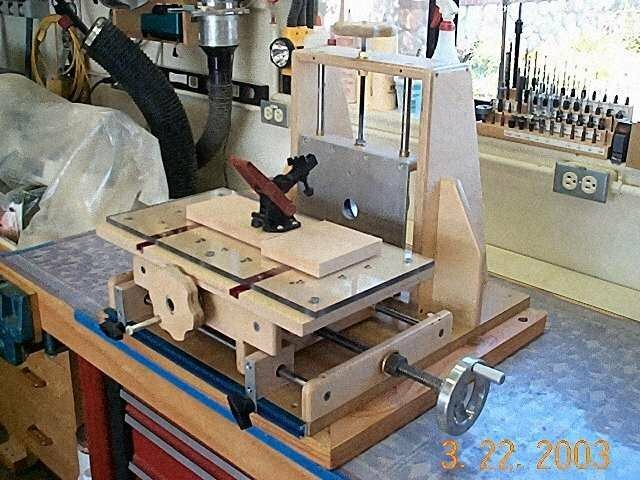 12 Performax 16-32 Drum Sander The Performax 16-32 drum sander is next. It sits on a platform supported by rollers. The hand crank on the front pulls the roller-supported platform up small ramps which raise the sander 5/16". When raised and the belt cover removed, the belt is flush with the Kapex table on the left and the CNC router table on the right. When lowered and the belt cover in place, the Kapex table, sander table and CNC table are flush and this allows support of long boards when cutting on the Kapex. 13 Shark CNC My Shark CNC router is the last machine on the east wall. This photo shows the old Bosch Colt installed. Bosch let the quality of their collets decrease so bad, that Precise Bits no longer supported this router with their precision collets. I now use the DeWalt palm router. 14 CNC Computer Drawer The table that supports the CNC machine has a drawer which houses a laptop computer dedicated to the operation of the CNC machine. The laptop also allows me to view YouTube videos and other online support when necessary. 15 Sheet Goods Cutting Horses I store the sheet goods breakdown horses on the wall behind the drum sander and CNC machine. 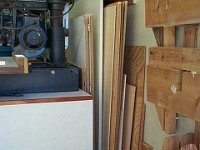 In a one-man shop like mine and as small as it is, I break down all the 4 x 8 and 5 x 5 sheets out in the driveway before bring them into the shop for final trimming to size on the table saw. 16 Sheet Goods Storage And behind the other tools and under the east window, I built this little house to store the sheet goods that are left-over or waiting to be cut down. The sheets ride on PVC rollers so they are easy to pull out when needed. 17 Shop Cooling This is my shop "air conditioner". Really just a swamp cooler, but with the usually dry weather here in San Diego, I can keep my shop under 80 degrees even when the temperature outside is in the mid 90's. 18 Table Saw My table saw right after I bought it in 1999. A Jet JTAS-10 Left tilt. 20 Splitter The JET table saw does not have a riving knife. It came with a clunky blade guard that was mostly in the way. To prevent kickback from spoiling my hobby, I made this splitter. 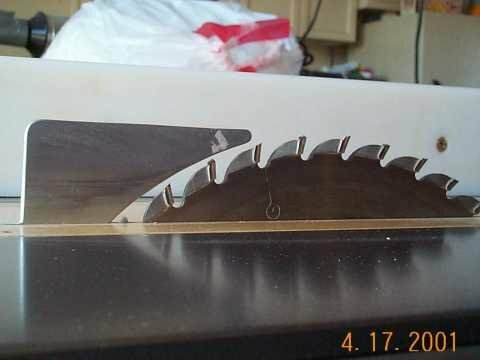 It's aluminum and matches the 1/8" thickness of my blades. It mounts to the zero clearance throat plate. 95% of the time my blade is set to fill the curve of this splitter so it is nearly imposible for a piece of wood to catch on the blade tooth coming out of the table. I've been using this since 2001. 21 Tall Splitter This is the splitter I made for the times I have to cut stock thicker than 5/4. The notch in the back allows the Brett Guard to come down to 1-1/4" of the table. 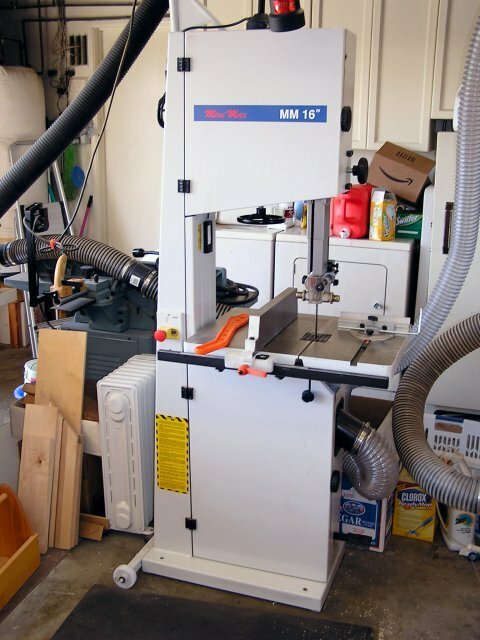 22 Mini-Max Band Saw Right next to the table saw as you face west is my Mini-Max band saw. In this photo, it still has the old stock fence which has been replaced. 23 Bandsaw With Tall Fence The new fence is from Laguna. 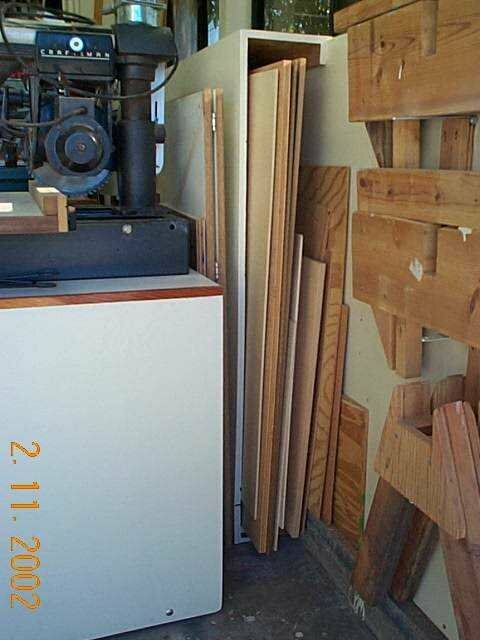 Since I mostly use the bandsaw for resawing thick stock into the thinner material I need for my box making, the fence is usually set up with this 11 inch tall phenolic-coated Baltic Birth plywood fence. 24 Closeup of Fence with Feather Boards I made a set of feather boards that slip over two towers of 1/4" baltic birch mounted to a 3/4 inch piece with mag-switch clamps. I got the idea from David Marks. 25 Bandsaw Blade Storage The bandsaw needed a space to store its blades so I made this box and hung it from the ceiling. BTW, my favorite blade is the Lenox 1/2 carbide tipped blade. 26 Sanding Station This sanding station is parked in front of the bandsaw, but moves easily out of the way. I pull it out and hook up a 4 inch hose to the planer connection in the ceiling when I'm doing a lot of sanding. 27 Router Table My router table sits next to the bandsaw. This shows the drop-down front. Behind the hose, there are two doors for storage of my Bosch plunge router. 28 Router Table - Drawer Side This is the "business" side. I use the Woodpeckers PRL-1. I hope it never breaks, because the PRL-2 that replaces the PRL-1 is a bad design. 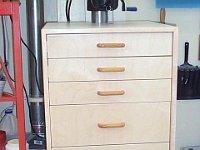 The drawers hold router accessories and bits. 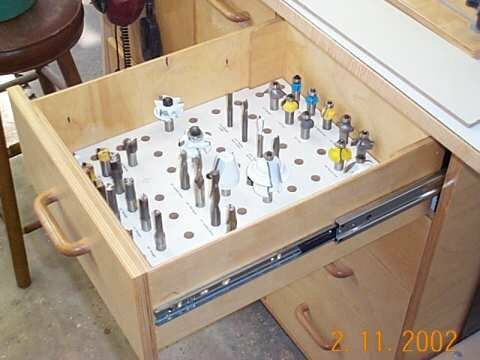 29 Router Bit Storage The top three drawers on the right side of the table are all configured like this one. I use Visio to do a layout of holes that are labeled with the router bit name. These sheets are printed and then affixed to MDF with spray adhesive. Then each hole is drilled to either 1/2" or 1/4" depending on the shank size of the bit. Keeps everything neat and organized. 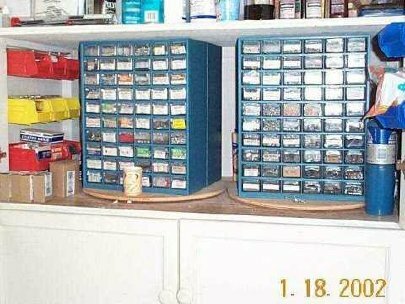 30 Parts Storage Every shop needs a place to store screws, nails, washers, etc. This is my solution. I bought 6 of these plastic drawer units. Two are mounted back-to-backon a disk of plywood which is supported by a lazy-susan bearing. Two of these are shown in this cupboard. The 3rd is in the cupboard below and left. 31 Northwest Corner The northwest corner of my shop. The big 4-door cupboard on the left is where I keep my hardware, cans of finish, and other supplies. The smaller cupboard above the sander is my library. The cupboard with the phone is for glue and sandpaper and my sand-shading equipment. 32 Disk/Belt Sander My Fisch 4 inch belt/6 inch disk sander sits on a mobile stand and is connected to the dust collection system. 33 Lathe Closeup My Nova DVR XP lathe sits between the sander and my workbench. It has its own dust collection connection which works really well on small turnings like pepper mills and pens. I haven't found a way to collect debris from bigger things like bowls. 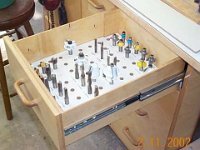 The lathe stand has two wide drawers for lathe tools. 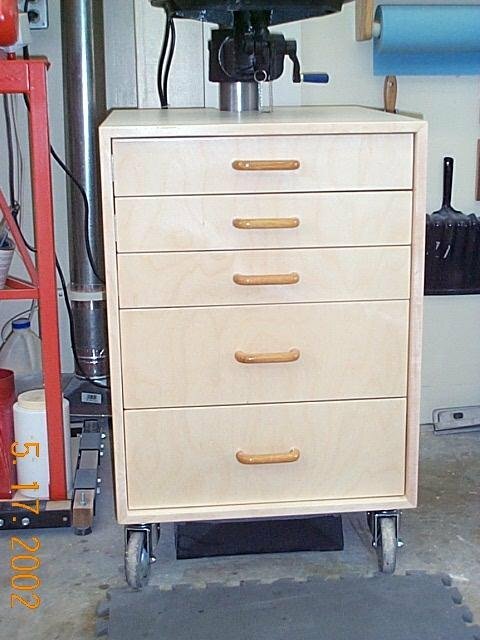 The other drawers are for chucks, and other lathe accessories. 34 Workbench I've had the Craftsman steel drawer unit since the early 1970's. 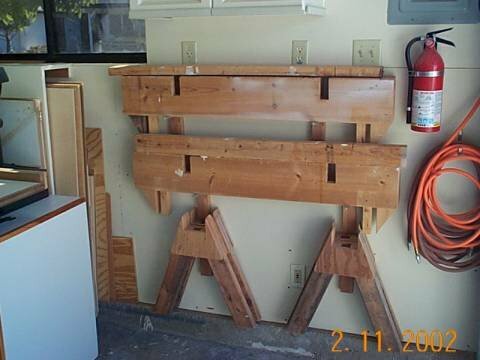 Back in those days I didn't do much woodworking; it was mostly for the around-the-home fix-it projects. After a while the unit got so that it would rack and the top was really bad. I didn't want to loose the drawer space, so I made a solid bench that wrapped around the old drawer unit. The new top is 2-1/4" MDF. The legs are 4 x 4 poplar, and the MDF top is wrapped in 4/4 maple. 35 Workbench My workbench accessories mount on a shop-made shelf on the window sill. Keeps stuff I use frequently readily at hand. 36 Workbench Clamp Setup The rear of the bench is recessed so back-to-back clamps can be used. I modified a pair of the 50 inch ones to fit the 30 inch reach needed. I didn't like the extra 20" sticking out the front and getting in the way. 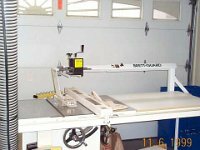 37 Mortising Machine/Horizontal Router This shop-made mortising machine and horizontal router works well. The Porter-Cable 690 router mounts on the alluminum plate and is raised/lowered with the hand crank on the top. The other handcranks move the table. This machine doesn't get as much use since I bought a Festool Domino machine. 38 You have reached the end of the shop tour. I hope you picked up a few ideas to use in your shop. Thanks for coming.